The Clark County School District is entrusted with the most precious resource that exists, our community’s children. The vast majority of our employees and volunteers work hard every day to develop appropriate relationships with students. However, we know that even one employee or volunteer who has an inappropriate communication or relationship with a student is too many. This website outlines recent changes made to protect our kids and to give families peace of mind. 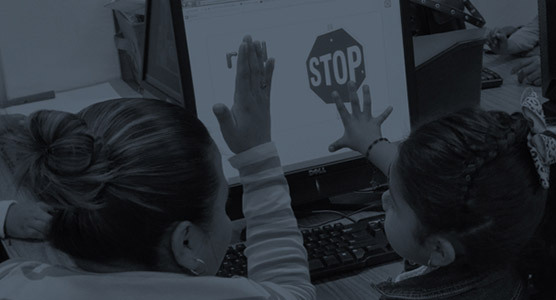 This website also provides information regarding a new state law, SB 287, which requires adults who volunteer at our schools or during school activities to be fingerprinted. To report alleged abuse or misconduct, call CCSD Police at: 702-799-5411 or local law enforcement. Additionally, contact Child Protective Services at: 702-399-0081. SB 287 requires all volunteers to be fingerprinted if they have unsupervised OR regular contact with students. Regular is defined as at least four times a month. Volunteers can start the online application process here. Once this process is complete, volunteers will be issued a CCSD volunteer badge. This application process will be effective for 5 years, but badges will be re-issued annually. CCSD is implementing this process in order to comply with the new state law. We understand that some parents and volunteers may have concerns with this process. We are gathering opinions from families and community members regarding this new law to present to legislators in the 2019 Legislative session. You can express your opinion here. Your school also will have a paper version of this survey that you can fill out. 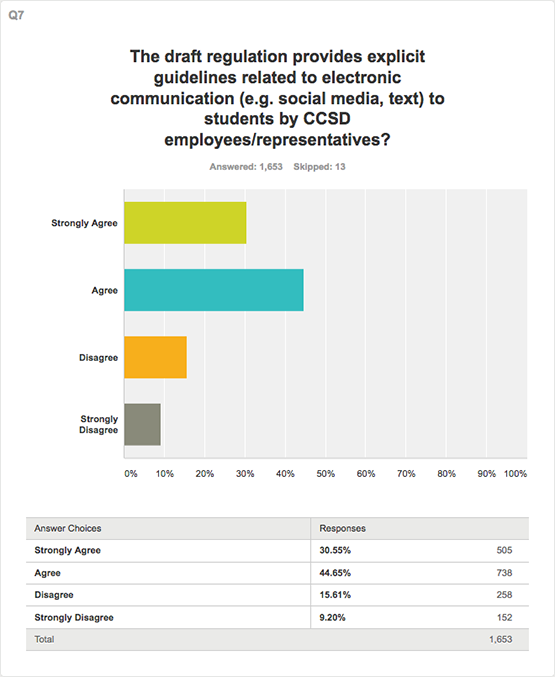 CCSD has also worked with employees, students, families and the community to develop guidelines and a regulation that outline appropriate relationships, interactions, and communications between district employees/volunteers and students. The Clark County School District (CCSD) Board of School Trustees voted during a Regular Board Meeting on Sept. 28, 2017 to approve Policy 4100 and Regulation 4100. 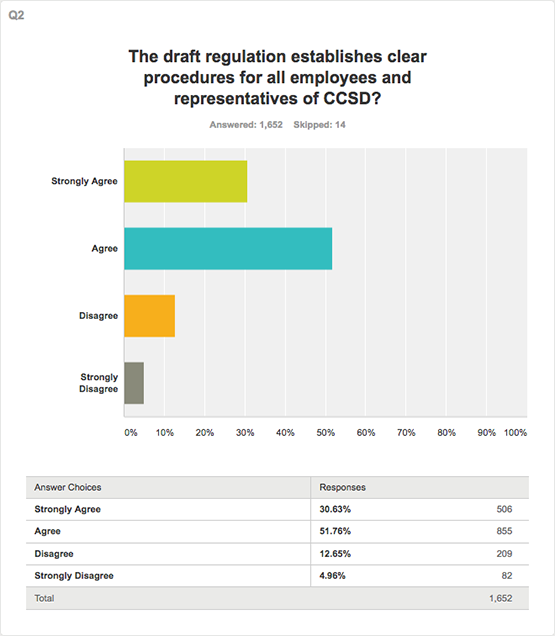 A working group of employees, students, parents, and community members helped develop the draft of this regulation, which was then presented to a community roundtable for input on June 15, 2017. 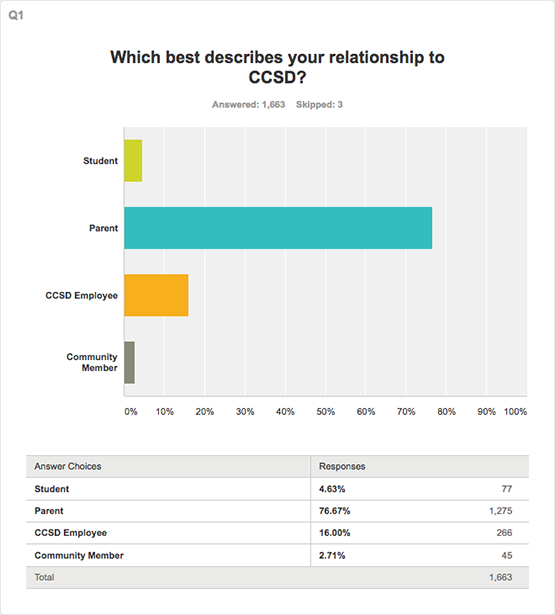 CCSD also gathered input via an online survey, and survey results can be seen below.